Compiled by Roger Kitchen of Living Archive MK, this programme told the story, through his letters home, of Albert Edward Mortlock French. He was born on 22nd June 1899 in New Bradwell and lived at 60 Young Street, Wolverton with his father, sister Mabel (May) and two brothers. A keen member of Wolverton Church Lads’ Brigade (above), he was also an apprentice fitter at the Wolverton Railway Works from 1913. On 16th October 1915, his Works record card is marked ‘Left Without Notice’. 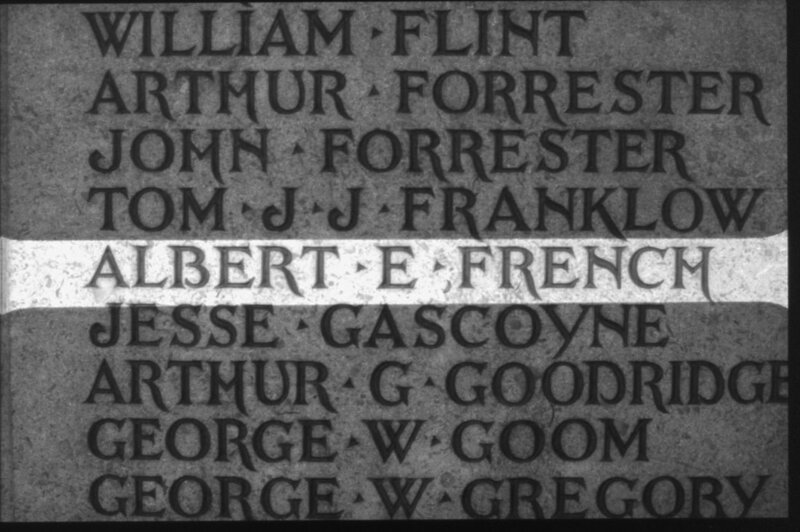 Despite being only 16, Albert had joined up ‘to do his bit’ for the war effort, like hundreds of others from Wolverton Works. 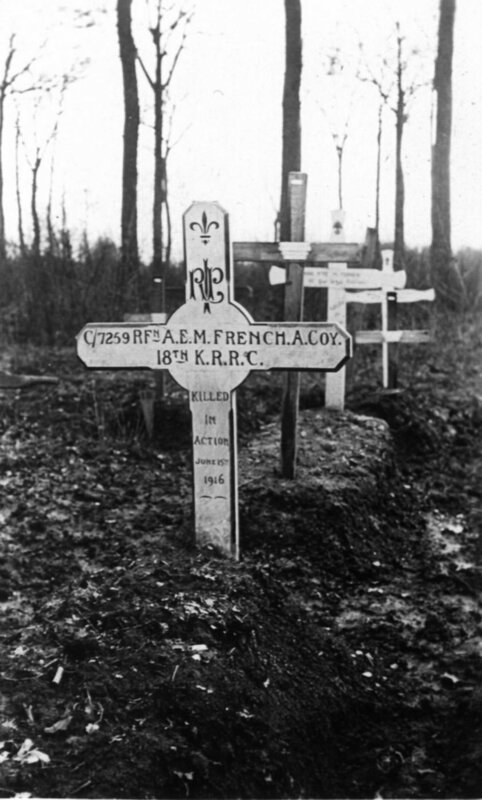 On 2nd May 1916, Albert’s battalion headed for the Front. His experience of the trenches started on 28th May, when he was posted to the Ploegsteert Sector in Belgium (nick-named ‘Plug Street’ by soldiers, and now, through this story, twinned with Wolverton). 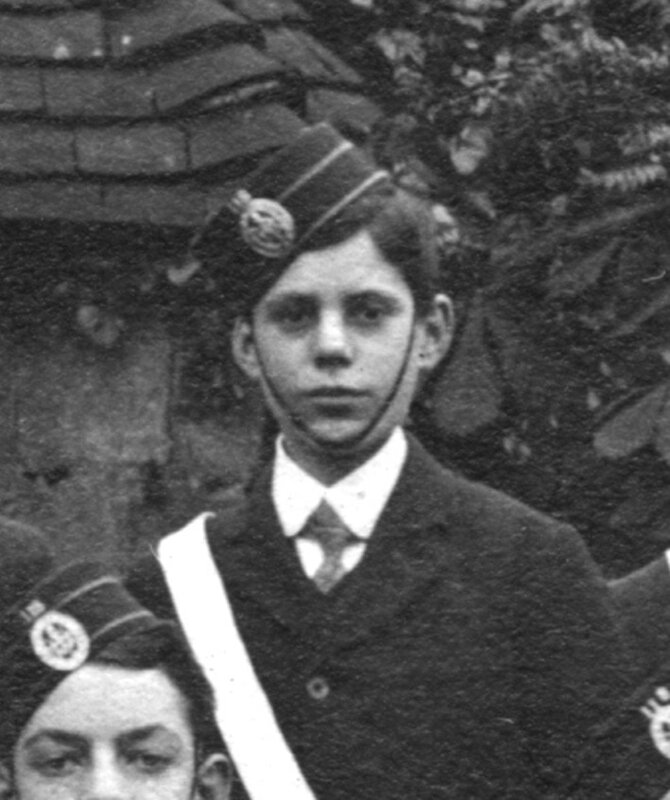 Just under three weeks later, on 15th June 1916 and a week before his 17th birthday, Albert was killed while working with a sandbagging party in a trench attacked by enemy machine-gun fire. Roy Nevitt’s musical documentary play Your Loving Brother Albert (1980) was inspired by – and scripted by – Albert’s letters. 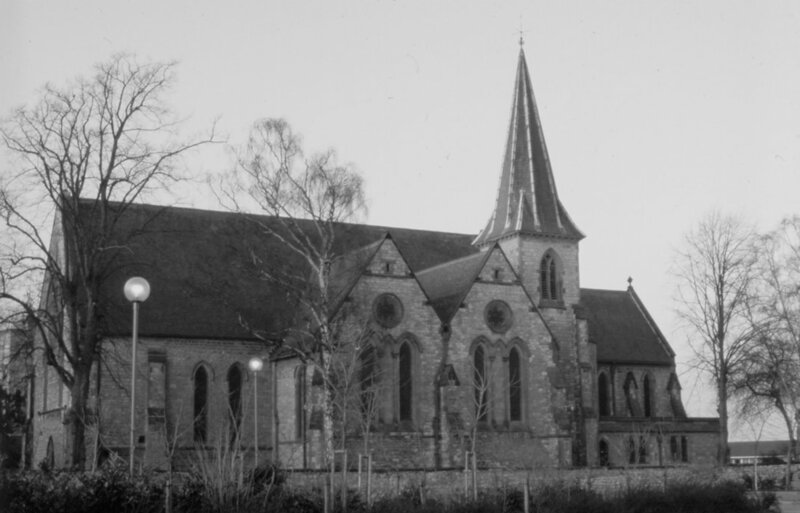 The song In Memoriam begins the play: it invites the listener to visit the local church, St George’s, to contemplate ‘the list of names on the wall of the south aisle’ and thereby introduces the story of the local boy soldier who lasted barely six weeks of the war. For many years, his age was omitted on his gravestone; after the BBC programme, pressure grew for a new gravestone to include ‘Age 16’. The melody of the song is a counterpoint to that of The British Grenadier – as shown in the third verse of the score… a poignant reminder of why so many young men were such fervent volunteers.